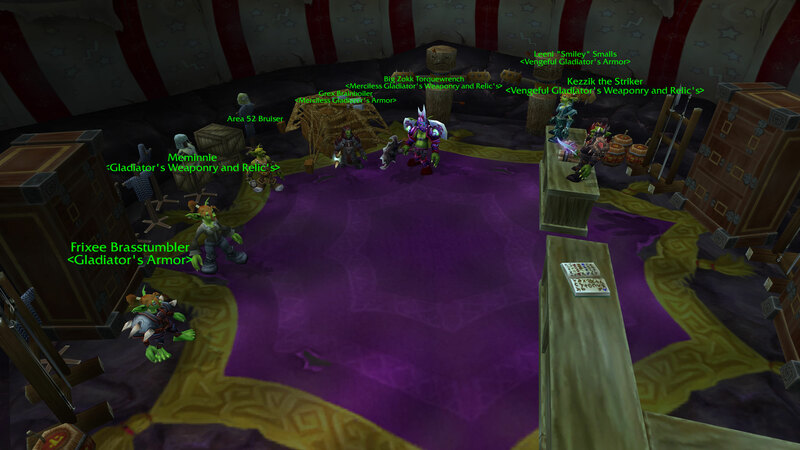 Make sure to check out RBGs on TrueWoW realm, as the LOS feature for game objects is back! Melee DPS, this one is for you :) Click here to see other updates from this past week or so! Level cap may be 70 with TBC in full swing, but that shouldn't stop you from trying to get all the way there without dying. Earn yourself ultimate bragging rights and a cool exclusive mount! Check out the full details and leader boards by clicking here. I just wanted to stop in and say Merry Christmas and Happy New Year! I miss you all and hope 2019 brings you much happiness and prosperity! AN OPENING IN THE DEFENSES? Illidan’s Fortress have been under assault from many factions during his reign over Outland. The ancient temple of Karabor might have been sacked in the past, but the Black Temple as it is now known, has been a stronghold neither the Burning Legion nor even the forces of the Light have been able to break. But a small crack in the walls has been discovered. Perhaps this once grand temple is starting to suffer from the siege? Gather your forces and head into the Black Temple-- if you dare! The Naga, fiercely loyal to Lady Vashj, and in turn to Illidan, have taken control of the crumbling sewers of the Black Temple. This is the last Naga base of operations since the daring raid that cleansed the Serpentshrine Caverns of their kind took place, and they do not intend to give it up freely. Leading them is the heavily mutated High Warlord Naj’entus, who will take great pleasure in avenging his Lady Vashj. Should you manage to get through the sewers and into the main courtyard, you will face the elite Dragonmaw Orcs and their enslaved Netherdrakes. They are always training to become stronger and better combatants and they will welcome your intrusion with murderous glee. Once this Orc clan is broken, you may find your path into the temple blocked still however, as the massive abyssal Supremus guards the gate with an ever-burning passion. Inside the temple, the Ashtongue seers hold council, and despite their apparent allegiance to Illidan, our reports indicate that the Ashtongue elder, Akama, might not be as loyal to the Lord of Outland as first expected. A part of Akama’s soul have been spellbound into mindless obedience. Can you break this spell and you free the Ashtongue tribe? It’s hard to imagine that his appearance was once that of a valiant knight of Stormwind, but little remains of this former knight save the ever-rotting flesh and bone. Teron’gor was an Orc Warlock that bound to the corpse of a slain knight, becoming the very first Death Knight. He served the Horde in what is known as the Second War, until he was seemingly killed in front of the Black Temple by the Alliance. Through cunning manipulation, he tricked a group of adventurers into restoring his power to him and now he has taken up residence in Illidan's fortress. The brutality of the Dragonmaw clan you fought in the courtyard is nothing compared to that of the Bonechewer Clan that reside deeper within the Black Temple. And no fel-orc is more brutal than Gurtogg Bloodboil. He awaits you in the Halls of Anguish, eager to smash anyone who faces him into a bloody pulp. Not many know how the Reliquary of Souls came to be, but the Bonechewer Orcs trying to contain it and its minions are having a hard time doing so. It’s been theorized that it is the result of all the tormented souls of the Draenei who were slaughtered during the first sacking of the Temple. Exactly why Illidan keeps it there is unknown: maybe as a power source. Or maybe it’s too chaotic for even him to subdue? The Blood Elf forces under Illidan's command fight hard and play even harder. For that reason, as a sort of disturbed form of entertainment, the Den of Mortal Delights was created. Here all sorts of women lounge and serve all kinds of twisted pleasure to those allowed into these halls. All under the lustful eye of Mother Shahraz, who reserves her attention to the most enduring of guests. In the luxurious Chambers of Command near the top of the Black Temple, the Illidari Council is in session, and they do not appreciate your invasion. 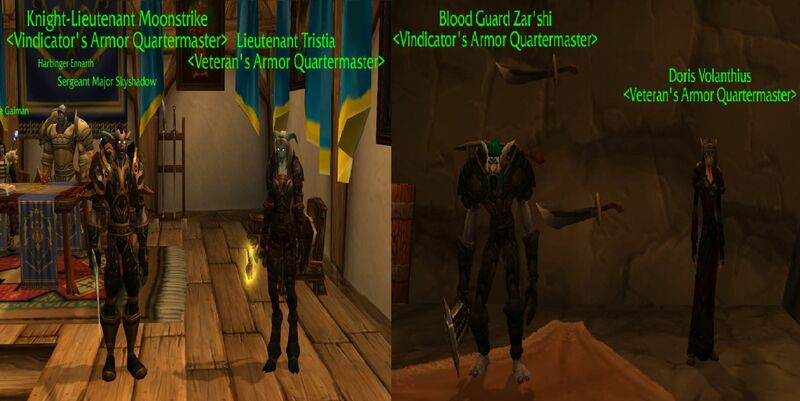 These are the most elite of the Blood Elves following Illidan and if you wish to challenge the Lord of Outland you will have to work together closely to defeat these four Elves, before they annihilate your forces. The Lord of Outland, The Betrayer. Illidan is a Night Elf / Demon Hybrid, whose history goes back all the way to the first invasion of Azeroth by the Burning Legion. 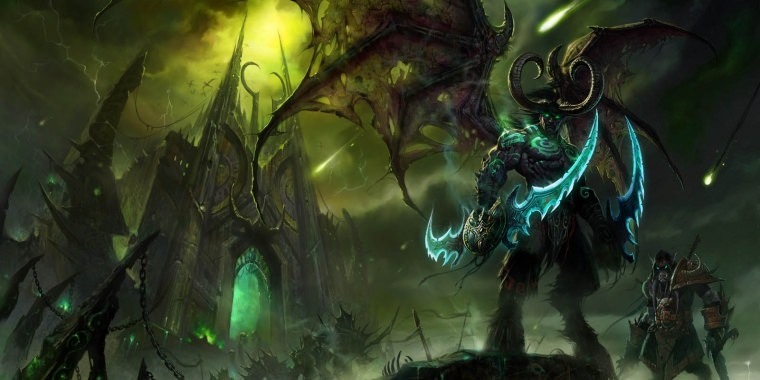 Since his defeat at the hands of the Death Knight Arthas Menethil, Illidan has brooded, planning his vengeance upon the Burning Legion, but his actions have also put him into direct conflict with the forces massing behind the Naa’ru. His power is not to be underestimated, however. You will need the help of allies if you have any hope of defeating him and freeing the Black Temple from his reign. PvP realm with all content unlocked at WotLK endgame with 1x rates. PvE progressive realm that emulates all expansions up to WotLK with 1x rates. Current stage: TBC.